Most of the time our utterances are automatically interpreted as speech acts: as assertions, conjectures and testimonies; as orders, requests and pleas; as threats, offers and promises. Surprisingly, the cognitive correlates of this essential component of human communication have received little attention. This book fills the gap by providing a model of the psychological processes involved in interpreting and understanding speech acts. The theory is framed in naturalistic terms and is supported by data on language development and on autism spectrum disorders. 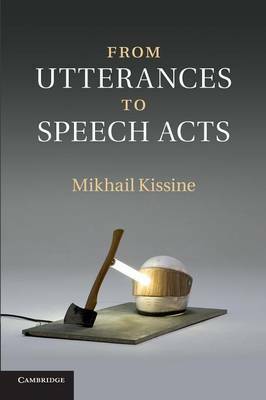 Mikhail Kissine does not presuppose any specific background and addresses a crucial pragmatic phenomenon from an interdisciplinary perspective. This is a valuable resource for academic researchers and graduate and undergraduate students in pragmatics, semantics, cognitive linguistics, psycholinguistics and philosophy of language.